"Ok folks, I feel officially awful," he wrote. 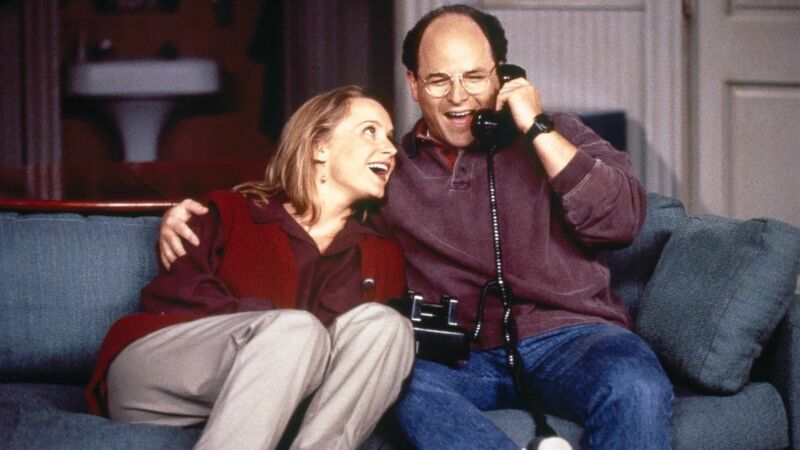 After Jason Alexander revealed why the showrunners killed off his fiancee in "Seinfeld," adding that it was hard to "play off" actress Heidi Swedberg, he took to Twitter today to apologize. "Ok folks, I feel officially awful. Yesterday on @Sternshow, I retold a story I had told years ago about my personal difficulties and insecurities in playing George against the Susan that Heidi Swedberg created. The impetus for telling this story was that Howard said, 'Julia Louis Dreyfuss told me you all wanted to kill her' So I told the story to try and clarify that no one wanted to kill Heidi." Swedberg played Susan Ross, George's fiancee, who eventually dies by poisoning after licking all the envelopes on their wedding invitations. "And again I say, I and the cast really liked and like Heidi. She is a kind, lovely person who undoubtedly worked really hard to create Susan and that character was clearly what Larry and Jerry wanted her to be for George. I just felt I was on uncertain ground in how to play off that character and I was always concerned that it wasn't working. And that's what I would voice concern about. But because the scenes were playing the way they were, the relationship with George and Susan sustained a whole season. People clearly liked the interplay even though I believed I was 'off,'" he continued. "Larry and Jerry were not sure how that relationship would end. They didn't really want George married but all the alternatives seemed predictable. They were always looking for an inventive end to the engagement. So when the comment was made about 'killing', no one was talking about the actress - they were talking about the character. And that made a creative light bulb go off apparently," he wrote. But Alexander didn't want to put the burden of the character on Swedberg. "Heidi would always ask if there was anything in the scenes she could do or if I had any thoughts. She was generous and gracious and I am so mad at myself for retelling this story in any way that would diminish her," he added. "If I had had more maturity or more security in my own work, I surely would have taken her query and possibly tried to adjust the scenes with her. She surely offered. But, I didn't have that maturity or security. And, Larry and Jerry would probably have killed me as it was all playing exactly as they wanted. Clearly Susan and George were coming off just the way they wanted." He closed by personally apologizing to the actress and writing, "You are a sweetheart. I actually launched into this on Stern to defend you. But this is why I'm not a lawyer." The seventh season of “Seinfeld” features an arc involving George’s engagement. George is initially optimistic about the engagement, but later seeks to sabotage the relationship by taking up smoking, asking for a prenuptial agreement and pursing a coffee date with actress Marisa Tomei. In the season’s final episode, “The Invitations,” Susan dies after licking poisonous, inexpensive envelopes for their upcoming wedding, a nod to Costanza’s stinginess, and symbolizing the relationship’s toxic impact on Susan’s life. (Gary Null/NBC/NBCU Photo Bank/Getty Images) Susan Ross (Heidi Swedberg) and George Costanza (Jason Alexander) become engaged in the Season 7 premiere episode of "Seinfeld," titled "The Engagement." The episode first aired Sept. 21, 1995. According to Alexander, 55, the deadly finale was borne from the actors’ troubles to connect. “I love [Swedberg]. She’s a terrific girl. I love her … I couldn’t figure out how to play off of her,” Alexander told Stern. “Her instincts for doing a scene, where the comedy was, and mine were always misfiring. And she would do something, and I would go, ‘OK, I see what she’s going to do, I’m going to adjust to her,’ and then I’d adjust, and she’d change. “I had done three episodes with her, and Larry calls me up at the beginning of the season and goes, ‘Good news: I’ve got a great arc for you this season – you’re gonna get engaged.’ Oh, that’s great! Who do I get engaged to? Susan. And I went, ‘Oh, great. Who’s playing George?’ Because it was such a disaster,” Alexander said. Following filming, Alexander said, the core cast would go to dinner, and Alexander complained about his lack of chemistry with his on-screen fiancee. Initially, Alexander said, his fellow stars Julia Louie-Dreyfus and Jerry Seinfeld brushed aside his concerns. But after they started sharing scenes with Swedberg, they too acknowledged similar issues , and openly pondered the character’s fate, Alexander said. “Julia said, ‘I know, don’t you want to just kill her?’ And Larry went, ‘Kebang,’” Alexander said. Following Swedberg’s arc as Susan, she continued picking up acting roles, appearing in such shows as “ER,” “Gilmore Girls” and “Bones.” These days, the Hawaii native plays and teaches ukulele music and performs as the lead in the Sukey Jump Band.